SHOWTIME Sports premiered their latest episode of ALL ACCESS on Saturday night, which included behind the scenes footage of Floyd Mayweather Jr. and Canelo Alvarez‘ lives. 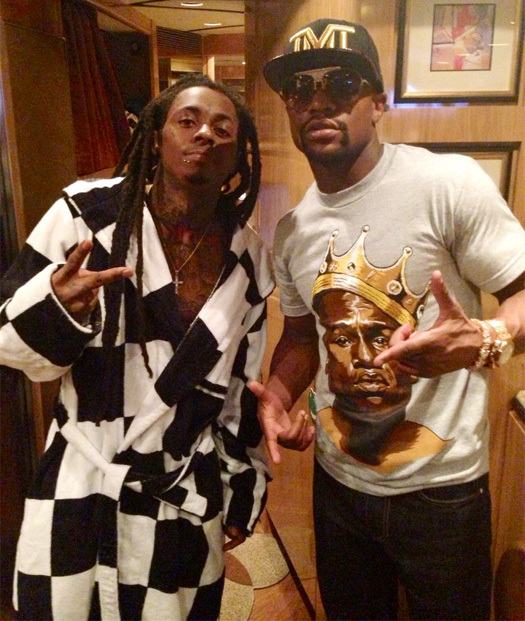 You can watch a clip from the episode after the jump below that shows Floyd Mayweather and Adrien Broner joking around backstage, as well as Floyd and Lil Wayne chopping it up on his tour bus. Floyd also called Weezy F Baby the best rapper during this ALL ACCESS shiw, but unfortunately you cannot see that part in the video!